Good Night Cowboys explores riding horses, roping steer, working on the ranch, rodeos, lassos, cowboy chow, ghost towns, driving cattle, cowboy clothing, square dancing, cowboy songs, and panning for gold. Well, howdy little buckaroos. 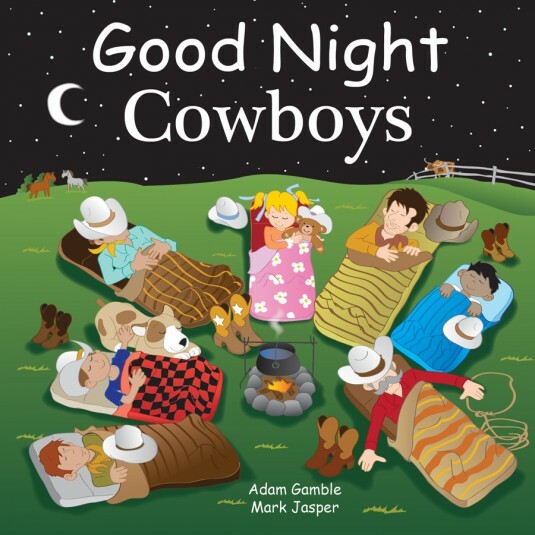 It’s time saddle up and hit the dusty trail with some of the friendliest cowboys in all of the Wild West. Yeehaw!